"It is tenderness for the past, courage for the present, hope for the future. It is a fervent wish that every cup may overflow with blessings rich and eternal, and that every path may lead to peace." WELCOME TO THE PLEIN AQUATIC MOVEMENT! There are now NoLimits to where you can create your next work of art. The ToughGuides Plein Aquatic Sketch Pad will allow you to create in any condition- underwater, in the rain, on a kayak, or inside a waterfall. 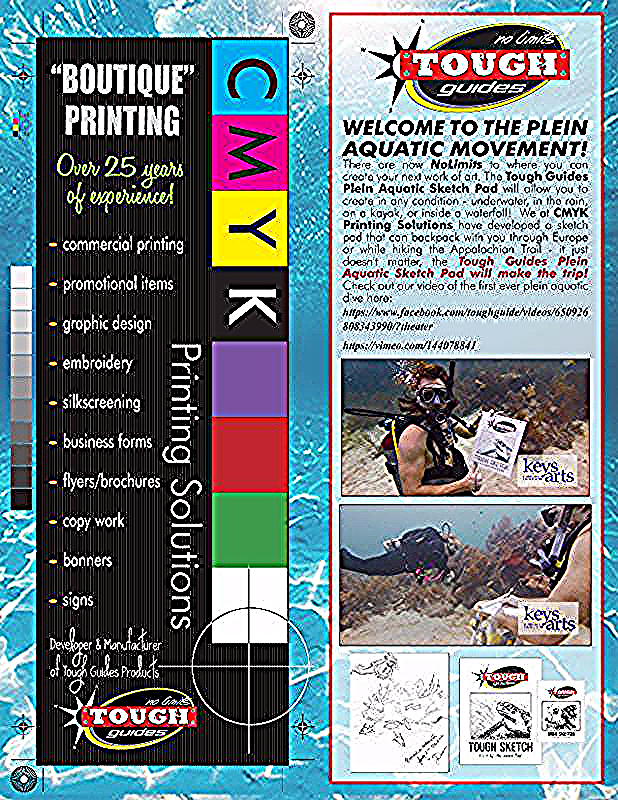 We at CMYK Printing Solutions have developed a sketch pad that can backpack with you through Europe or while hiking the Appalachian Trail - it just doesn't matter, the Tough Guides Plein Aquatic Sketch Pad will make the trip! Check out our video of the first ever plein aquatic dive by clicking the link below! The Holidays are almost behind us, it is officially time for New Year's resolutions. 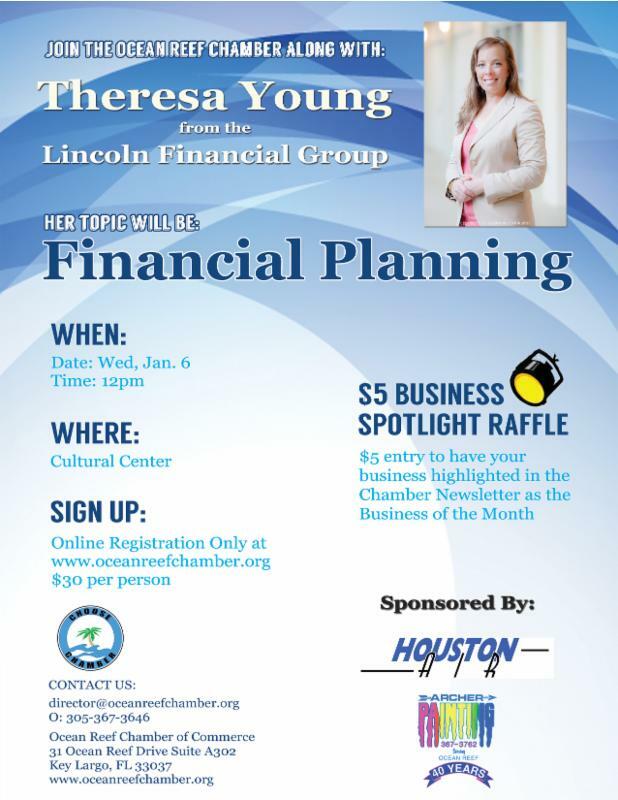 Theresa Yong from Lincoln Financial Group will let you know how best to manage your money in the coming year. It's not very often an opportunity like this comes our way. Do not let this chance pass you by. 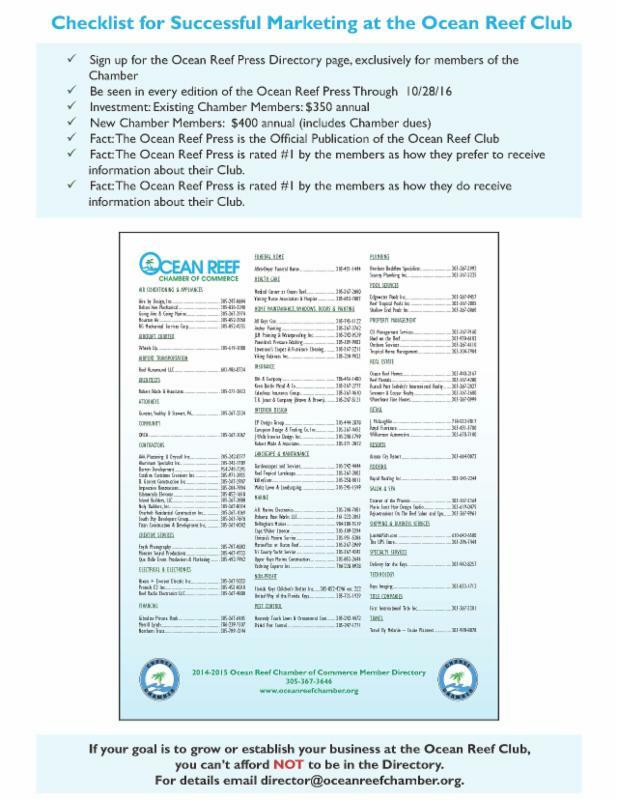 Seize this opportunity to reach the largest number of Ocean Reef Members. 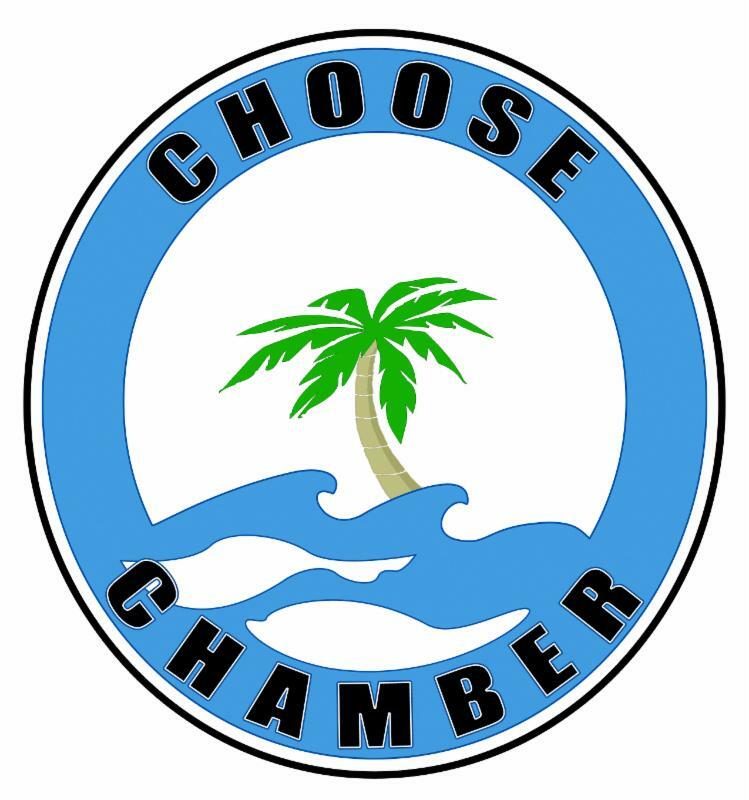 Many of your fellow Chamber members have donated to All Charities annually. It is the most successful and highly anticipated event at Ocean Reef Club. The event draws a large number of accomplished and philanthropic Club members who wish to give back to their community and beyond. Our involvement makes a significant impact. Join us in supporting this great event! 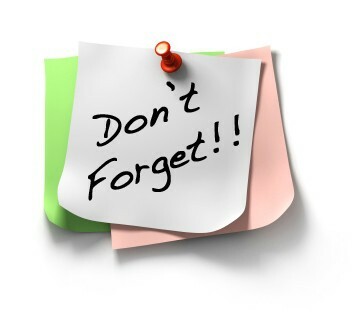 If you wish to get involved, check our website for a list of committees.